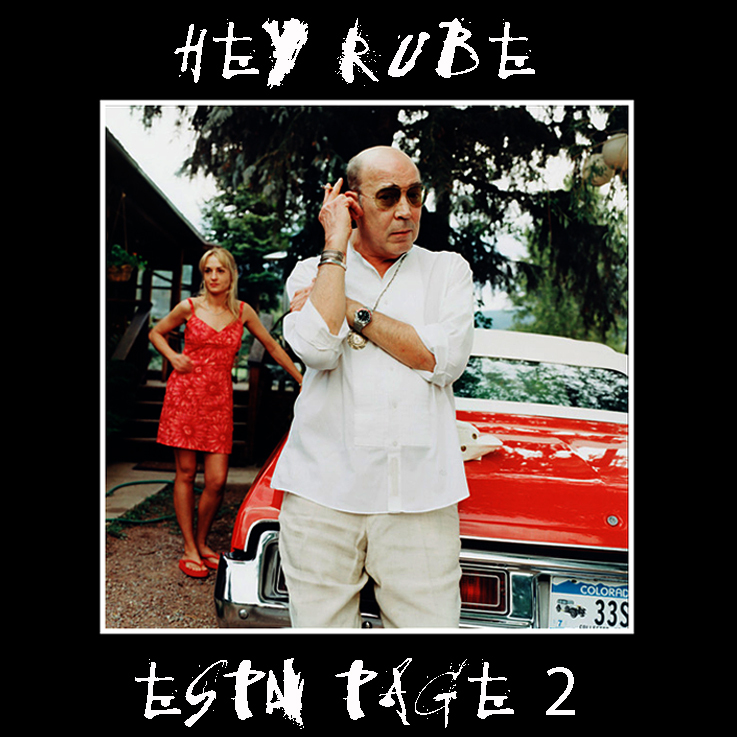 Hey Rube: Hunter S. Thompson’s ESPN Column now online! In case you missed it, the entire archive of Hunter’s ESPN column is now available via Totally Gonzo. The archive has been available through the ESPN website but many of the links were broken, with entire columns vanishing, not to mention the haphazard navigation that made the entire archive virtually impossible to browse through. Well – no more. After much work I have the entire archive indexed and arranged in chronological order and I managed to track down the many missing columns that were in broken link limbo! Great news… I remember reading ‘Hey Rube’ before classes… Those were the days.